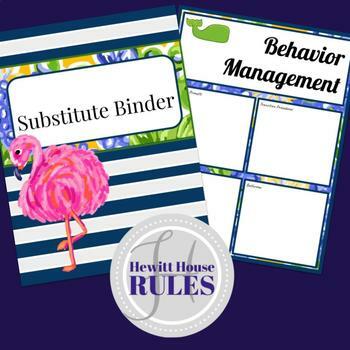 Be prepared for whatever the school year is going to throw at you with this substitute binder. 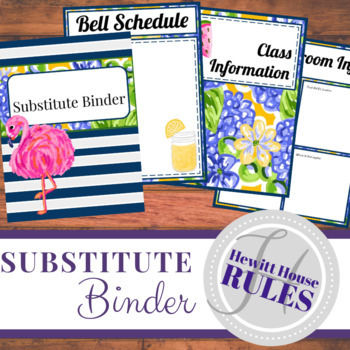 Get yourself organized with all of the information a substitute might need to know to keep your classroom running successfully. This beautiful floral and tropical theme has flamingos, watermelons, and lemonade to keep things lively. This does not contain any lessons. It is an organizational tool. Included in this zip file is a semi-editable power point, a non-editable PDF, and an example PDF I created to show you some ideas. I have included some blank pages so you can customize for any unique items you may need to add to your binder. 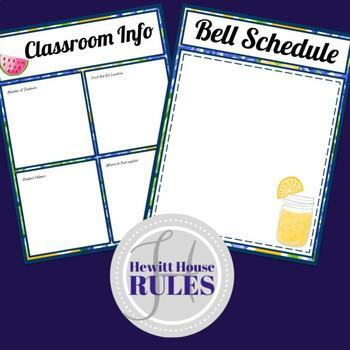 This purchase includes a license for one teacher only for personal use in their classroom. Licenses are non-transferable, meaning they can not be passed from one teacher to another. 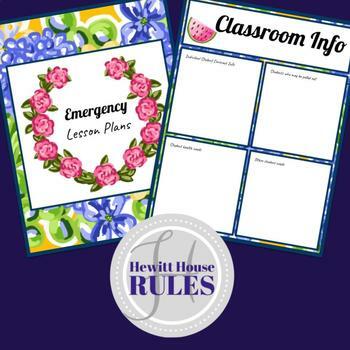 No part of this resource is to be shared with colleagues or used by an entire grade level, school, or district without purchasing the proper number of licenses.